Since the introduction of the Electronic Data Capture (EDC) in clinical trials where data is entered directly into the electronic system, it is estimated that the errors (e.g. transcription error) have been reduced by 70% [ Clinical Data Interchange Standards Consortium – Electronic Source Data Interchange 2005]. 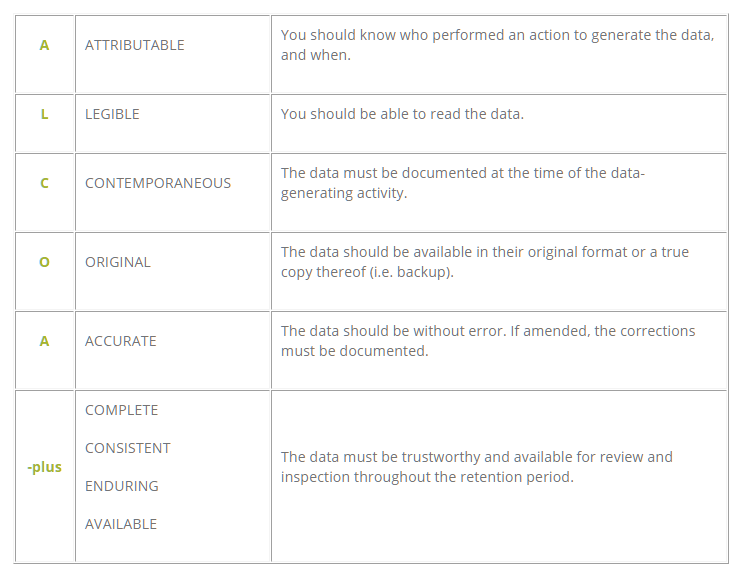 The Data Management Plan (DMP) defines the validation test to be performed to ensure data entered into the clinical database is complete, correct, allowable, valid and consistent. Within the DMP, we find the Data Validation Plan. Some companies call it ‘DVS’ others ‘DVP’. The Good practices for computerized systems in regulated GxP environments defines validation as a system that assures the formal assessment and reporting of quality and performance measures for all the life-cycle stages of software and system development, its implementation, qualification and acceptance, operation, modification, qualification, maintenance, and retirement. Develop test scripts and execution logs for User Acceptance Testing (UAT). Coordinate of UAT of eCRF build with clinical ops team members and data management and validating documents, included but not limited to: edit check document, issue logs, UAT summary report and preparation and testing of test cases. Remember not every EDC system is alike. Some systems allow you to perform testing on the edit checks programmed; others allow you to enter test data on a separate instance than production (PROD). There is a built-in test section for each study – where data can be entered and are stored completely separate from production data. This allows you to keep the test data for as long as needed to serve as proof of testing. The copy function allows for a library of existing checks (together with their associated CRF pages) to be copied into a new study. If there are no changes to the standard checks or pages then reference can be made back to the original set of test data in a standards study, thus reducing the study level overhead. The fact that many of the required checks (missing data, range checks, partial dates etc.) do not require the programming of an edit check at all. Each of these and many others are already there as part of the question definition itself and therefore do not need any additional testing or documentation for each study. The “ideal world” scenario would be to reduce the actual edit check testing by the system generating a more “human readable” format of the edit checks. The testers that way would not have to test each boundary conditions of the edit checks once the system is validated. All they would have to do is inspect the “human readable” edit checks vs the alerts and would also be easy for the clients to read and sign off. You can leverage the EDC systems audit trail under certain conditions. First of all – the system you are testing with must be validated in itself. Some EDC products are only ‘validated’ once a study is built on top of them – they are effectively further developed as part of a study implementation process – in this situation, I would doubt you could safely use the audit trail. Secondly, you need to come up with a mechanism whereby you can assure that each edit check has been specifically tested – traceability. Finally, you need to secure the test evidence. The test data inside the EDC tool must be retained for as long as the archive as part of the evidence of testing. The worst methods in my view are paper / screenshot based. They take too long, and are largely non-reusable. My past experience has been creating test cases using MS Word then performing each step as per test case and take a screenshot, where indicated. Then attached to the final documentation and validation summary. This obviously a manual and tedious process. Some companies create test cases using HPQC or similar tool. This is a bit more automated and traceable yet, it is still prone for errors. It is better than documenting using MS Word or Excel but it is still a manual process. Re-usability is what it is all about, but, you need to ensure you have methods for assuring the test evidence produced for edit checks you are reusing is usable as part of the re-use exercise. Edit Check Design, Development and Testing is the largest part of any typical EDC implementation. Applying methods to maximize quality and minimize time spent is one of the areas I have spent considerable time on over the last couple of years. For additional tips on writing effective edit checks please go here -Effective edit checks eCRFs. Source images: provided courtesy of Google images. ¿Usted está luchando trabajar con independientes desarrolladores / diseñadores y en busca de una solución fiable aún rentable. Dejamos que usted emplea empleados virtuales contractuales para cualquier servicio relacionado TI (computación), como software / web / aplicación móvil / diseño gráfico o la entrada de datos en tiempo completo / tiempo parcial / base de proyecto. Responder a este correo electrónico con sus requisitos / consultas y estaré feliz de compartir nuestro perfil de empresa or Click aqui! The Sponsor required a large safety and data management team to assist for a submission deadline requiring the transfer of data to a new safety database for clinical trials and post-marketed products. CDISC standards have been in development for many years. There are now methodologies and technologies that would make the transformation of non-standard data into CDISC-compliance with ease. Clinical trials have evolved and become more complex and this requires a new set of skills outside of clinical research – Project Management. As with many projects, CDISC is a huge undertake. It requires resources, technology and knowledge-transfer. The industry (FDA for example) has been working on standardization for years but on September 2013, it became official, in which the FDA released a ‘Position Statement‘. So what is CDISC? We can say that it is way of naming convention for XPT files, or field names naming conventions or rules for handling unusual data. Currently, there are two main components of CDISC: SDTM (Study Data Tabulation Model) and aDAM (Analysis Data Model). As a project manager and with the right tool, you can look to a single source project information to manage the project through its life-cycle – from planning, through execution, to completion. 1) Define Scope: This is where you’re tested on everything that has to do with getting a project up and running: what’s in the charter, developing the preliminary scope, understanding what your stakeholders need, and how your organization handles projects. The scope document is a form of a requirement document which will help you identify the goals for this project. It can also be used as a communication method to other managers and team members to set the appropriate level of expectations. The project scope management plan is a really important tool in your project. You need to make sure that what you’re delivering matches what you wrote down in the scope statement. 2) Define Tasks: we now need to document all the tasks that are required in implementing and transforming your data to CDISC. The work breakdown structure (wbs) provides the foundation for defining work as it relates to project objectives. The scope of work in terms of deliverables and to facilitate communication between the project manager and stakeholders throughout the life of the project. Hence, even though, preliminary at first, it is a key input to other project management processes and deliverables. 4) Validation Step: Remember 21 CFR Part 11 compliance for Computer Systems Validation? The risk management effort is not a one-time activity on the project. Uncertainty is directly associated with the change being produced by a project. The following lists some of the tasks that are performed as it pertains to validation. Risk Assessment: Different organizations have different approaches towards validation of programs. This is partly due to varying interpretations of the regulations and also due to how different managers and organizations function. Assess the level of validation that needs to take place. Test Plan: In accordance with the project plan and, if not, to determine how to address any deviation. Test planning is essential in: ensuring testing identifies and reveals as many errors as possible and to acceptable levels of quality. Summary Results: This is all the findings documented during testing. An effective risk management process involves first identifying and defining risk factors that could affect the various stages of the CDISC implementation process as well as specific aspects of the project. 5) Transformation Specification: Dataset transformation is a process in which a set of source datasets and its variables are changed to meet new standard requirements. Some changes will occur during this step: For example, variable name must be 8 chars long. The variable label must not be more than 40 chars in length. Combining values from multiple sources (datasets) into on variable. 6) Applying Transformation: This is done according to specification however, this document is active during the duration of a project and can change. There are now many tools available to help with this tasks as it could be time consuming and resource intensive to update the source code (SAS) manually. 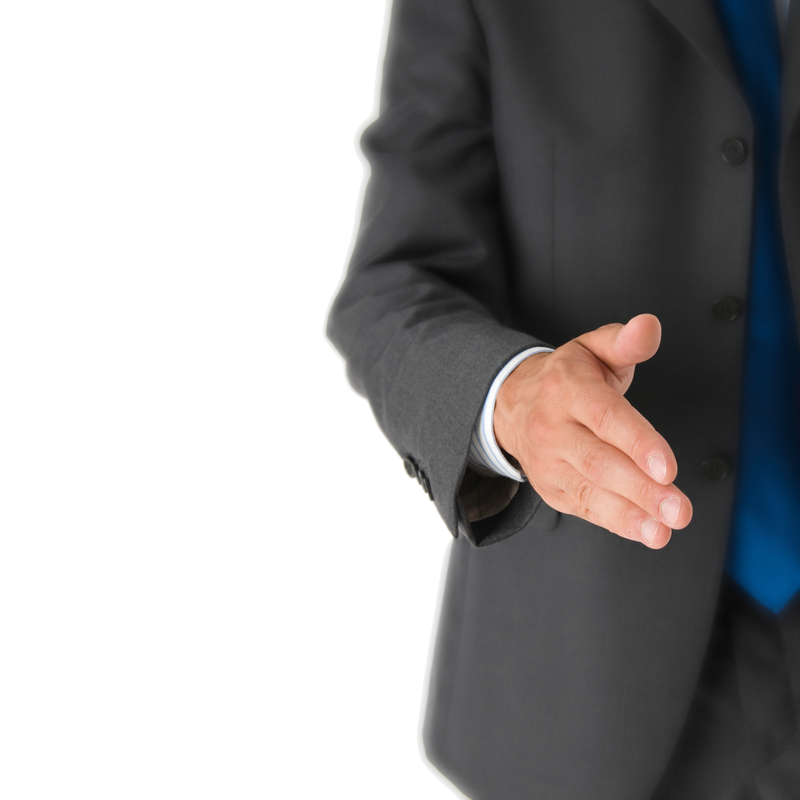 Transdata, CDISCXpres, SAS CDI, Define-it; just to name a few. 7) Verification Reports: The validation test plan will detail the specific test cases that need to be implemented to ensure quality of the transformation. For example, a common report is the “Duplicate Variable” report. 8) Special Purpose Domain: CDISC has several special purpose domains: CO (comments), RELREC (related records or relationship between two datasets) and SUPPQUAL (supplemental qualifiers for non-standards variables). 9) Data Definition Documentation: In order to understand what all the variables are and how they are derived, we need a annotation document. This is the document that will be included during data submission. SAS PROC CONTENTS can help in the generation of this type of metadata documentation. The last step in the project plan for CDISC implementation is to generate the documentation in either PDF or XML format. The reason I am writing is that I am looking for a new challenge and I felt we might have some areas for discussion, or at least you might be able to point me in the right direction. My services basically represent a low-cost alternative to the traditional consultancy companies, which usually demand high prices for their services. My services are always the right partner for you – no matter if you are looking for an interim solution due to personnel shortage in your company, if you demand creative and unconventional solutions or if your project requires up-to-date knowledge – direct cost savings. I’m currently working on several initiatives but there is always room for new challenges. I hold a project management degree and several certifications in different fields. I’m a quick-learner, flexible to change, achievement oriented and proactive. An ability to see options and take action, in other words, results. Honesty, straightforward yet sensitive advice and confidentiality. Are these the kinds of skills you look for in a project leader? Important part of the data management job is to verify received data. Checking for inconsistencies and unexpected patterns. Verifying that the data is complete, legible, logical and plausible. However, how to perform data verification? You could regard the data verification job as completing a couple of puzzles. Each puzzle is one subject participating in the clinical trial or clinical study at stake. As such, the puzzles resemble each other a great deal. But they are not exact copies. Each subject, each puzzle, is (slightly) different, unique. Do you have a puzzle somewhere in a cupboard? More than one from the same series? At least 2 puzzles with > 100 pieces each? Open the boxes, drop their content in one pile on the table and start completing the puzzles/subjects. The more pieces in place of a puzzle, the more evident which pieces to expect. 1. Get the parts received, divide them per subject/puzzle and start making all the puzzles. The clinical information up on each subject is coming in pieces, per completed visit data, per available adverse event information. In the beginning you’ll thus work with lots of incomplete puzzles. 2. Any holes in any puzzle/subject, any missing parts, you need to look for/query. Note that holes are allowed if your puzzle/story is as such! However, leave no unexpected holes. Meaning that if an assessment took place, you want to have the corresponding result(s) completed. 3. Any duplicate pieces, get rid of them. Please query. 4. Any pieces not fitting your puzzle/subject story, you need to check up on. Maybe they belong to another puzzle/subject. Or they are incomplete and can therefore not fit (yet). They could even be wrong delivered and not belong to the study at all. 5. Any pieces fitting but rotated 90 or 180 degrees, please turn/query. Get the puzzle showing a logical story. 6. Any pieces damaged, please try to fix the damaged parts. E.g. spilled coffee over a paper CRF. Illegible text parts. Or unclear texts that can be interpreted differently. 7. Any pieces added at the wrong place, query and bring to their right position. E.g. an error in an assessment date. In trial/study language, the more data for a subject received and in the database, the easier to get the subject’s story complete. However, the more care needed to get the true story. The logical, plausible subject story. Attention to medication given for an adverse event but missing in the concomitant medication list. Or laboratory shifts to worse results but missing corresponding adverse events listed. Completing the holes in a puzzle is easy, for data management the edit checks help you tremendously with that. Getting a logical, plausible story for each patient, reflecting the truth, is the real data management challenge. Which takes more than just structuring pieces. It asks you to look and understand the pictures up on the pieces received.